As a travel agent in Warsaw, I've developed an immense passion for this industry and the places it has taken me. My absolute favorite way to travel involves anything that has to do with a sandy beach, turquoise waters, and plenty of sunshine. I’ve helped plan these types of getaways for my clients everywhere from California to the Caribbean and from cruises to escorted tours. Whatever type of travel you are looking to book, I will help design the perfect custom package for you! Punta Cana is an ideal vacation destination for any type of traveler. If you’re travelling with a significant other, I recommend visiting one of their many couples-only resorts. With renowned service and a spectacular location, this is also a great place to consider spending your honeymoon. Read more from my Punta Cana Consultant bio. The word Mediterranean has an all-encompassing meaning in the world of travel. While the majority of people might imagine Italy or Greece, there is far more to explore around this area. There are so many islands; you’d have to enlist an expert to help you get around. That’s where I come in! Read more from my Master The Mediterranean bio. If you want a vacation that is full of both relaxation and adventure, I recommend a Caribbean cruise. The best part of being on a cruise is that you get the opportunity to explore fabulous ports around the Caribbean while only having to unpack once. Read more from my Discover Warm Weather Vacations bio. Karen was great to work with. Was quick and tentative to all questions, especially for our first time leaving the country. She suggested everything we may need and was right on. Below is my review of our stay at Secrets St. James. It was absolutely fantastic. We enjoyed every day. All the restaurants were great. The people that worked there wanted to help you with anything you needed all day and night. It would Rain about 2 pm every day for maybe 20 mins and then partly sunny to sunny rest of the day. Rain never slowed anything down just moved back to room got recharged and headed back out after. 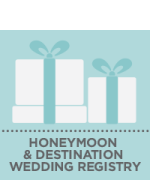 We loved working with Karen to plan our honeymoon! She works quickly and planned a wonderful trip for us!! The fifty wedding anniversary trip of a lifetime . I.was.concerned about the four of us getting around at the airports,and when we arrived there were four wheelchairs waiting for us coming and going which we could not have been able to get to the gates on time or find. Our reservations with the Staybrook in Savannah were outstanding,the people were so welcoming,helpful and friendly. They treated us like family. I would go back in a heart beat. Our tours we booked came thru perfectly. The trolley tour and the ability get on or off the next day was awesome, if we weren't sure we called and they were there in just a few minutes to pick us up. The carriage ride was wonderful and our host was so knowledgeable about places and the people with funny side tales all.of which were true. The cruise was fun and very informative. Savannah is the fourth busiest port and one in twenty people are touch by it. The trip was a dream come true with warm friendly people, wonderful food,great transportation . For our honeymoon adventure my husband and I wanted to go to Hawaii but did not know where to start. So we contacted Travel Leaders and had an appointment with Karen to help us find exactly what we were looking for. She was absolutely incredible! She designed a personalized trip just for us and our dream honeymoon adventure. She took the time to get to know us and gave us different options within our desires and also our budget. All we had to do was pick our favorite from there, and she took care of all the fine details. Karen prepares you for the trip letting you in on details you most likely couldn't find online. After we returned she even followed up with us about our trip and asked if there was any information future travelers should know about the area to constantly stay up-to-date. We will definitely be back for our next venture!